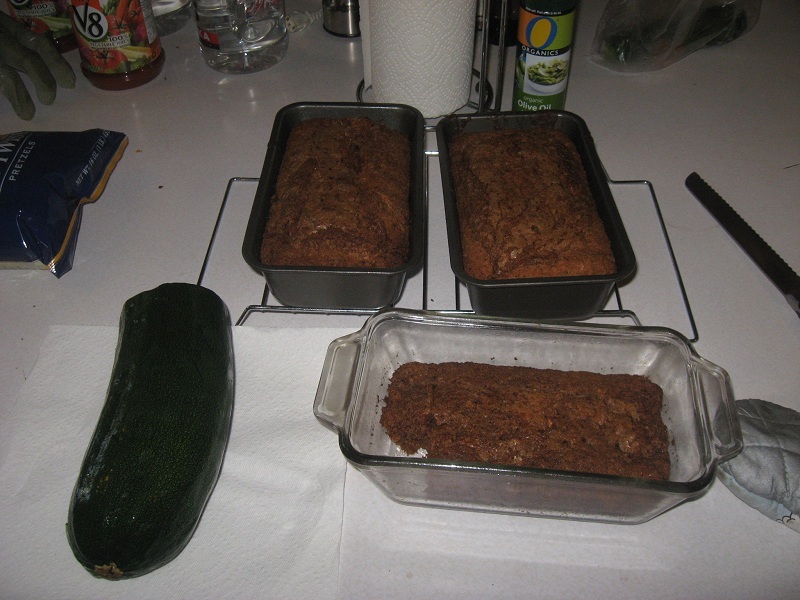 I’ll update this later with the recipe and any instructions, but look at how much bread I can make from such a small bit of my giant zucchini from tha previous post! Update! This recipe comes from my Mom. It’s a very sweet bread – she also makes a pumpkin bread that I’ve found I prefer more savory, but this zucchini bread is delicious with the amount of sugar indicated in the recipe. This recipe will make about 2 bundt-sized loaves – I used 1.5 times as much to make the amount above. Mix all the dry ingredients except for the walnuts together. Add the zucchini to the dry ingredients. Making sure not to beat, mix in the wet ingredients one at a time, with the oil first. Pour into a greased bundt pan and cook for 40 – 60 minutes (I find it’s closer to 60 minutes). And that’s it! It’s really easy and tasty! 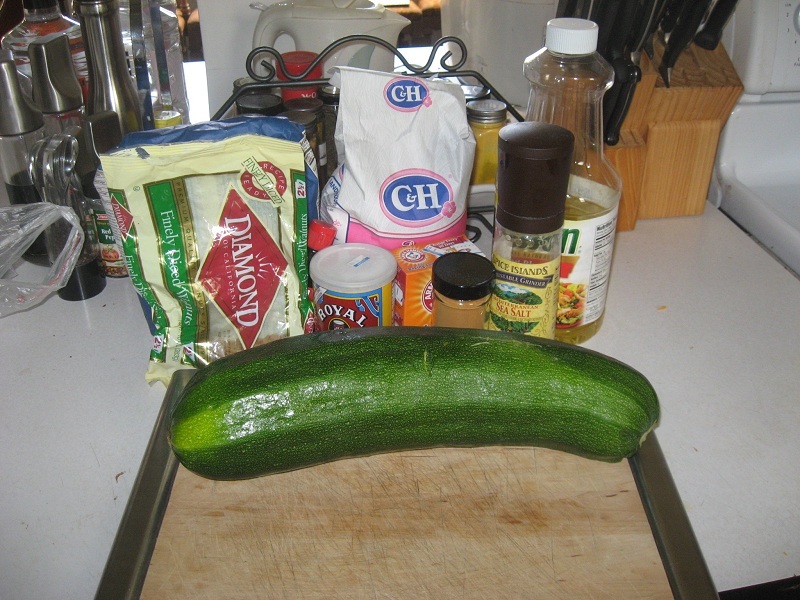 My Zucchini Is Huge Tinnitus?